6 Reasons to Keep The State Stores - Does it still hold up? Marc Stier, a Philadelphia-based full-time progressive political activist, published six reasons why we should keep the State Stores five years ago. I thought I'd take a look at those reasons and how well they hold up today. "First, in an ideal world we could count on government regulation of private liquor stores to control the sale of alcohol. That’s important, because alcohol abuse remains a major public health hazard. But in the real world, regulation fails when it is carried out by those who hate government. And academic studies show that states that control the sale and distribution of alcohol have lower levels of problem drinking, drunk driving, and the violence and death that go along with them." In an ideal world we could count on the government to control the sale of alcohol, Stier says, then makes the self-evident observation that the world isn't ideal. It never has been, it never will be. And what does "regulation fails when it is carried out by those who hate government" even mean? The state's liquor regulations are carried out by PLCB employees and BLCE cops: are they known for hating government? Doubtful. 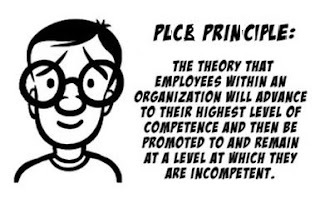 So we're left with our non-ideal world, where the PLCB simply isn't very good at all at control or regulation. Pennsylvania has higher levels of DUI, underage DUI, DUI fatalities, underage DUI fatalities, binge drinking, and underage binge drinking overall than the states on our borders; the non-control states. So while academic studies (set in the ideal world, apparently) may show that states that control the sale and distribution of alcohol have lower levels of problem drinking, the reality is Pennsylvania, where the alcohol problems are in the stubborn middle, despite control. "Second, in an ideal world, the workforce in privately owned liquor stores would be able to form a union simply by securing the support of a majority of workers. But in the real world, laws created and implemented by Republicans have made union organization in the private sector almost impossible. So I stand with currently unionized employees of the state stores." Hung by that real world again. Stier didn't know that laws (and regulatory interpretation) would change to allow supermarkets to buy restaurant licenses and start selling beer and wine. And what happened? The majority of licenses purchased were by grocery stores which are already heavily unionized, most by the same union that the State Store workers already belong to. Guess union organization in the private sector isn't impossible after all. "Third, in an ideal world, businesses, including those that sell alcohol, would be taxed at reasonable rates, wouldn’t get to keep 1 percent of the sales tax to cover costs of collection they no longer have, and would pay all the taxes they owe. In the real world, because we don’t have to worry about those problems, the wine and spirits stores generate more revenues for education, health care and other public needs than private stores would." "Fourth, in an ideal world, our governor and general assembly would be working to increase wages for working people and the middle class. But in the real world, the Republicans are attacking public sector workers and privatizing public services mainly to drive wages in the private sector down. So I stand against a proposal that is likely to make income even more unequal in our state." In the real world, there would be LESS wage disparity. There wouldn't be the artificially large difference between a stock clerk in a grocery store and a stock clerk in a state-run monopoly liquor store (who are both represented by the same union...how's that work?). Also, I don't in any way consider the PLCB a service. It limits selection, never leads in new products, severely limits locations, and generally prevents entrepreneurs from providing the services consumers want. 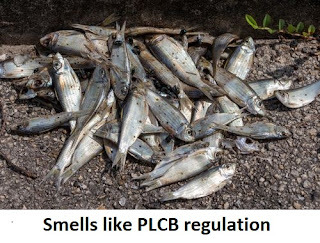 The PLCB stops job creation and is a drag on the economy, being well over a billion dollars in debt. "Fifth, in an ideal world, the state would protect worker from discrimination by private businesses, including new private liquor stores. But in the real world, LGBTQ workers are only protected from discrimination by organized labor." Simply not true..."in the real world." Again, Stier's pessimism (and drama) has undercut his positions, as the real world moved on and changed for the better. Workplace protections are provided by state law or regulation. Union agreements do not over-rule written law. "Sixth, in an ideal world, elections and public policy would be determined by the number of people on each side, not by campaign contributions given by each side." We strongly agree! Because by this measure, the PLCB should have been gone ages ago, since for decades the majority of people polled wanted private liquor stores. And we all know who gave more money to politicians -- those against privatization, even though it was against what the people wanted. So what does this all mean? In 2018 -- in the real world -- there are no reasons to keep the antiquated, anti-consumer jobs program called the PLCB. Of course, the first number is the Johnstown Flood Tax, which was raised twice since the flood in question, the second time about 30 years after the flood. Still, at least they call it a tax. Same with sales tax. That's what passes for honesty in Harrisburg. 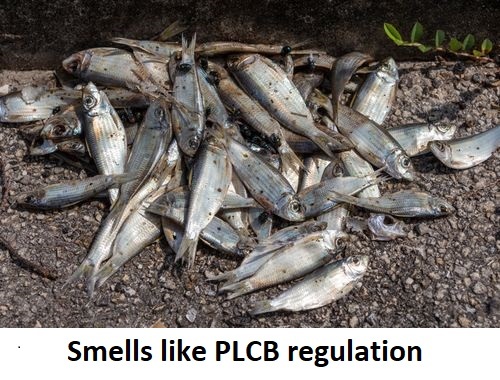 It is the last one that the whole PLCB rides on, the reason they still exist: $185 million in "cash transfers," or what they like to call "profit." They don't want to call it tax revenue, but that is exactly what it is, a tax. Webster's defines a tax as: A charge usually of money imposed by authority on persons or property for public purposes. Don't like that one? This is even more specific: A compulsory contribution to state revenue, levied by the government. When a government entity -- the PLCB -- is levying a compulsory charge -- which is anything above break-even on their monopoly retail operations -- to increase revenue - it is a tax. They do that so the codified taxes -- the Johnstown and the sales taxes -- pretty much remain the same. And as we've pointed out many times, they have a police-enforced monopoly and their own pet judiciary system that allows them to do pretty much whatever they want anyway. No matter what they say, this is not a service to the citizens, nor is it a business. Successful businesses do not have record sales and still go further in debt. The PLCB is well over $1 BILLION in the red...and it isn't going down, it is going up. Businesses do not lie to their shareholders (and they keep saying...that's us!) about plans that have no hope in reaching the levels they promise. Remember all the money bailment was supposed to save: $100 million. And opening more Sunday stores: $22 million! Opening.remodeled/new stores faster: $25 million. Variable pricing: $75 million. That all totals up to an "extra" $222 million, ON TOP of what they were turning in previously. Wow, dolla dolla bills, y'all! Have any of these things happened? Maybe bailment? Probably not since after the first time the PLCB didn't have to take out a $110 million loan that money was never seen again. No increase in capital spending, no increase in pension contributions, no increase in "profit," and no explanation where it might have gone. Uhhhh...gee, guys, what happened to all that extra money? The only thing that has consistently gone up is how much red ink the PLCB uses. 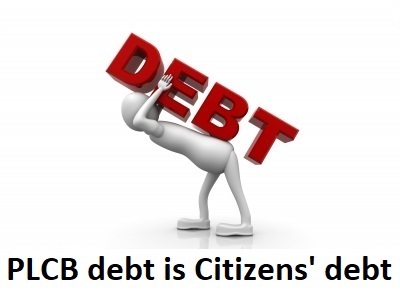 For real businesses, record sales does not equal record debt for too many years in a row, but the PLCB keeps on with lies to the public about how much of a benefit they are. That's right, lies because if you read the underage drinking report, look at alcohol related DUI and fatalities both underage and legal age. Look at consumption which according to the National Institute of Health spirts consumption - the thing the PLCB is directly responsible for - went up 56% in the past 20 years. We're barely in the middle nationwide. Look at binge drinking and we are 43rd best out of 51; dropping eight places in the past four years. Worse than all the surrounding states, worse than all the free states on our borders, worse than most of the entire United States. "Control" isn't really effective. All it is.... is annoying and expensive. The PLCB does not control anything, they still exist only to provide a jobs program for the people that work at the PLCB. They aren't even good at what they do. At the last reporting -- well over a year ago, since the PLCB not only doesn't have to report these numbers, they make it a point not to -- 81% of the items they "negotiated" lower costs on had ZERO benefit for the consumer. As a betting man, I'll take every dime you have saying that percentage has gone up and they are screwing the citizens even more. What they supposedly contribute is meaningless when compared to what they owe, the limited selection and poor service compared to other billion dollar stores, the universally bad reputation they have had over 80 years and the outright proven malfeasance of the leadership are just some of the ways you can see what we have to put up with in Pennsylvania compared to free states. Maybe this has really been the plan since privatization efforts started in earnest. Run things so poorly, manage so ineptly, lead so incompetently and be so financially inadequate that it will cost far more for the state to bail them out to be able to rid ourselves of this outdated jobs program than to keep them. Naw...they ain't that smart...are they?